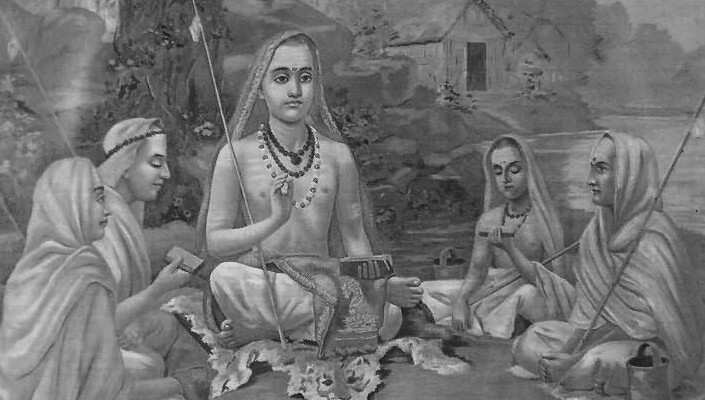 ‘(Sanskrit noun) sages or saints of ancient times during the Vedic period regarded as Yoguins in deep meditation hearing the “Hymns of the Veda”, hence the meaning of Seer, the poet describing the ‘song of the Cosmos’. According to tradition, there are 7 primary Ŗṣi (Mahāŗṣi), but it is said in the sacred writings that the number ‘seven’ was a magical number and not an arithmetic one. Following the sacred writings, the current numbering is 7, 11, 22, 33.